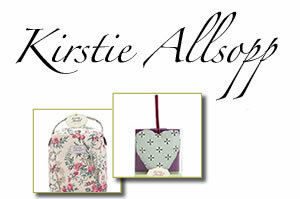 Did you watch Kirstie’s Handmade Britain or Kirstie’s Homemade Home on channel 4? We did, and we have been looking around for her products for quite a while now! It is only recently that we have discovered a range of home accessories exclusively designed by her for M&S. These products don’t appear to be handmade but they are beautifully designed home accessories and with the current “Christmas 3 for 2 Mix and Match” offer, you can add a touch of vintage chic to your home at a low cost! 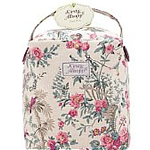 The Kirstie Allsopp door stop is made of 100% cotton floral vintage fabric and it represents an old-fashioned style sewing basket. 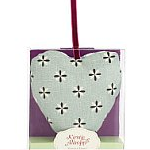 We recently gave you some instructions to make lavender hearts but there is nothing wrong with treating yourself or giving a one of Kirstie Allsopp lavender scented hearts to a loved one as a gift! A fairly popular combination has been used for this lavender heart – stripes and floral prints tend to complement well each other.